All printers need supplies and the HP Deskjet F4224 is no exception. By choosing to order from HotToner you have chosen to save! Use the 'Add to Basket' buttons above, next to the products you require, to start buying now. If online ordering is not for you, but our HP Deskjet F4224 Cartridges offer is the right for you, then why not call us on 1300 88 55 68, and one of our friendly staff will handle your order personally. Thank you for choosing HotToner for your printer cartridges. We are your Printer Cartridge Specialist. We accept payment by Visa, Mastercard, Direct Bank Deposit, Internet Banking, Cheque and Australia Post Money Order. There is absolutely no surcharge for using credit card or any other payment methods. Credit card payments are securely processed by eWay, we do NOT store credit card details, and NO credit card data or information is stored on our site in any form.! Our site uses 256bit encryption ensuring your credit card details remain safe. Very secure. We use technology that ensures the confidentiality of all your personal details, including credit card information. The secure communication channel between our servers and your computer are provided by the Secure Socket Layer (SSL) standard protocol that is certified. Ordering via the internet is arguably much more secure than supplying your credit card details over the phone or the fax. However, should you wish to, transactions via phone or Fax are available. We will never sell, rent or trade your personal information to an outside company. Some websites might offer lower prices, beware they might collectors for your personal information to on sell to others for marketing purposes. We will never do this. We only use your personal information to fulfill your order, and will not be shared. We use FAST Australia Wide courier delivery and Express Post. Your HP Deskjet F4224 Cartridges will usually be despatched from either the Melbourne, Sydney, Brisbane, Adelaide or Perth Warehouse the same day if ordered before 3pm. As a general guide, deliveries to major cities will take 1 to 3 days whilst it could take up to 5 days for remote areas. FREE delivery for orders over $50.00 or only $4.95 for orders under $50.00. See shipping policy. page. 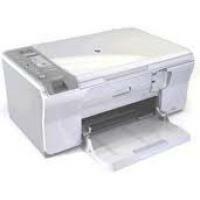 Buy High Standards and Low prices HP Deskjet F4224 Cartridges here at HotToner and save! Your printer list is empty!